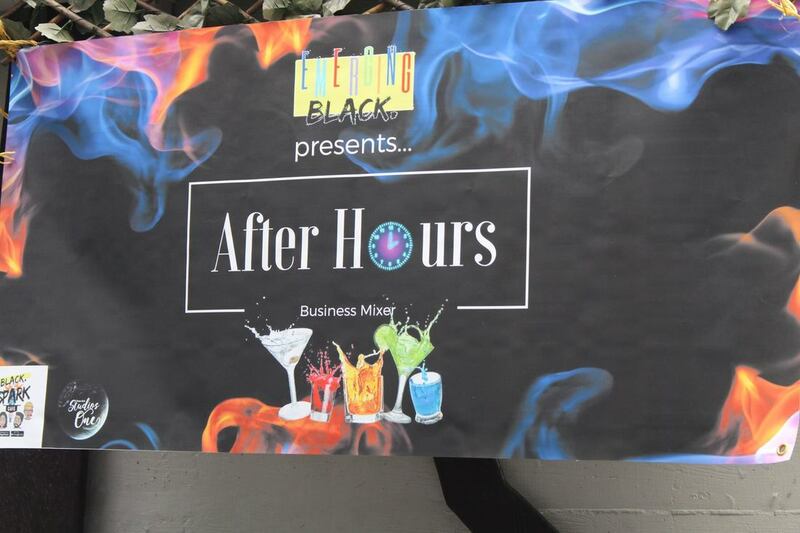 Emerging Black hosted their first After-Hours Black Business Mixer on Thursday, Oct. 19. Just in case you missed last night's event, here's a recap of one of many mixers to come. 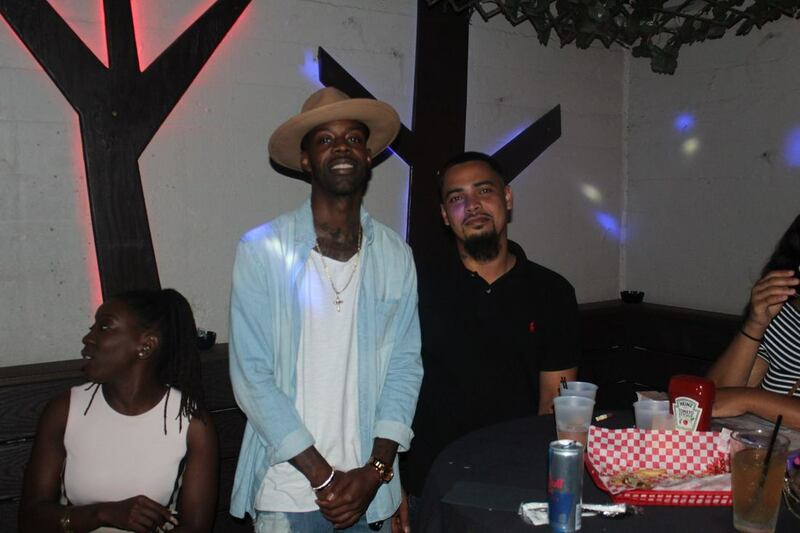 ​From 630-9p entrepreneurs, aspiring entrepreneurs, and patrons mingled in a private patio area at Myth Night Club. Under the night lights, the crowd enjoyed smooth R&B selections, indulged in soul fare and mixed drinks prepared by Element Bistro & Craft Bar, making this a night to remember. Business entrepreneurs included several members from the coveted car club, Flawless Empire, local suit designer David Hicks, OMG Natural Products extraordinaire Rhonda Maiten, and local food trucker owner Dennis Bowens, just to name a few. ​The night concluded with a few raffle giveaways followed by acknowledgements given by both Founders of Emerging Black, Kristal Alston and Anthony Hall. Wadelene Charles and Shavon McIver are clearly enjoying business small talk. Flawless Empire's Draco and Thomas are posing for the camera. ​ Anthony Hall, Kristal Alston, and the crowd shared unforgettable moments of gratitude. Kristal Alston is a native of Jacksonville. She enjoys traveling, blogging, and meeting new people.